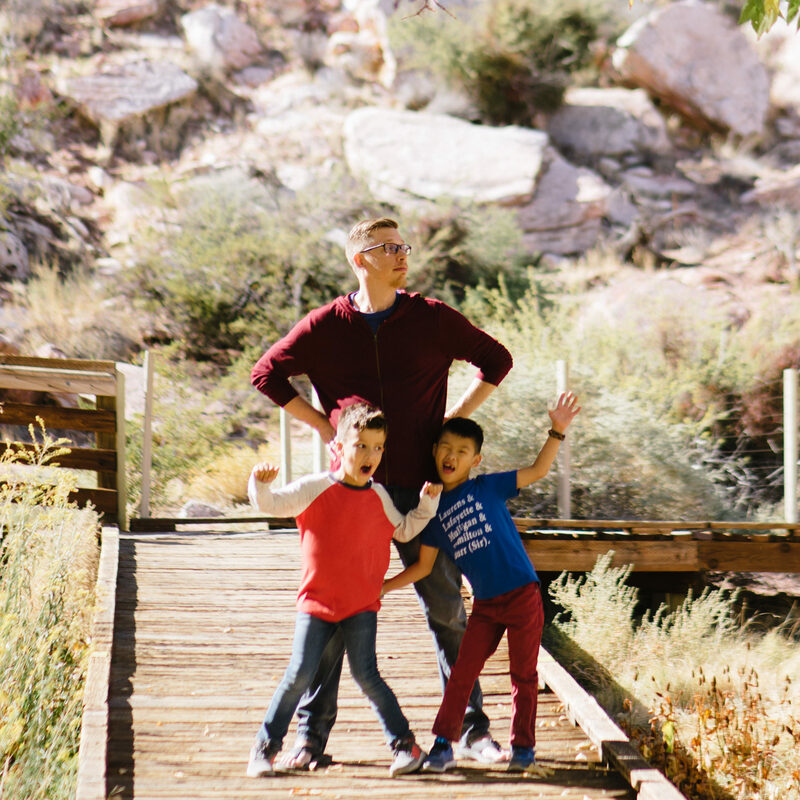 For Heart Dads new to CHD, feeling a little lost, or those not sure where they fit in the CHD world, Aaron Carpenter shares what he found, after 8 years on the CHD roller coaster, worked best for him and his family. His tips just might help you too! I am the dad of two kids, one with complex CHD and one with minor CHD combined with a rare airway disease. The kids like to say our family is 2 in 100, since every 1 in 100 babies are born with CHD. Dads generally have two goals when it comes to their family – happiness and health. Heart dads are certainly in that group, but the process of obtaining and maintaining that second goal can be much more complicated. CHD is your own, often unfair and definitely unwanted, version of normal. You live by the calendar, whether it is doctor appointments, medication dosing, or interventions and surgeries. I like to say heart dads are regular dads with a lot more to remember. The voices of heart dads are sort of quiet in the CHD community. If you’re anything like me, you’re an introvert who pays attention to data and isn’t so great with support groups or big picture ideas. I want to be just as involved and just as knowledgeable as the next heart parent, but how do I do that in the world of Facebook groups and blogs? It only took my wife and I eight years on the CHD rollercoaster to come up with a plan, a split of duties so to speak. We are both involved in ways that work to our strengths and preferences. Our sons see both of us doing work in the CHD sphere and we always come together as a family for local CHD activities. Teaching your kids new things is fun and exciting for them, but it also helps promote a strong bond and connection with you, which is far more important than the rules of any game. I still remember when each of my boys could dribble a basketball, hold scissors the correct way, and especially when they learned to swim. And we are working on shuffling a deck of cards now, along with reading Harry Potter. 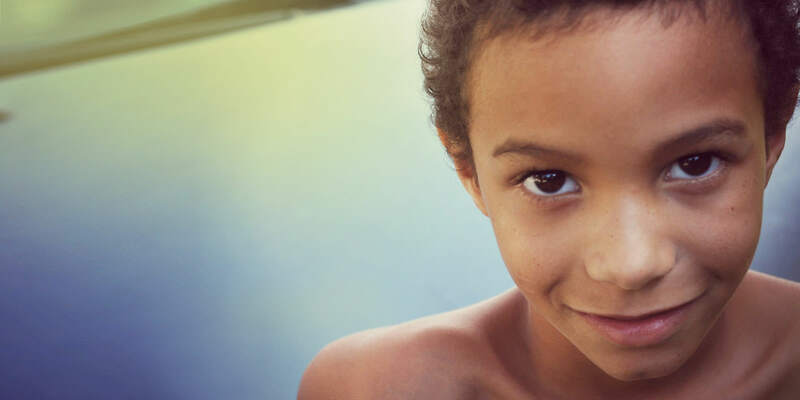 It’s important for your child to know that their scars don’t define who they are or who they will become, but it can also be something they have pride in. Show off any scars you may have so they can see how their own scars might change over time. When I was 12, I crashed my dirt bike and ended up with an emergency splenectomy and a scar the full length of my abdomen. This provided a great connection with my son after his first surgery and throughout his preschool-aged years. Promote a connection to any other family members who have heart disease, even if it is long-distance. 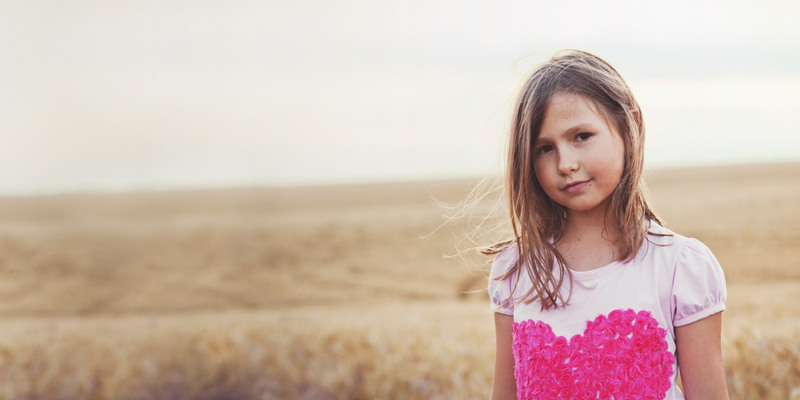 Find other heart kids/teens/young adults so they have role models for different stages of their lives. Even though we know our kids are 1 in 100, at times they can surely feel like they are the only ones going through this. My father-in-law had open-heart surgery shortly after my youngest son’s Glenn surgery. It was very touching when he removed his shirt so that he could compare his scar to my son’s over video chat. Even though their grandparents live across the country, they are bonded through their hearts with Pops and through gardening with Mimi. Know your child’s medications and dosing schedules inside out, backwards, and on little to no sleep. Anytime there are changes to the medication schedule, be it sickness or higher doses as they grow, I build an Excel spreadsheet with the new dosing schedule. It gets printed and taped to the kitchen counter so that I can mark off doses when given. My spreadsheet was super handy during the weeks following my son’s Fontan surgery when meds are given around the clock. Sure there are apps for this, but doing the spreadsheet was my way of being involved and connected. Attend every appointment that you can, no matter how routine it is or how quickly it goes. Each interaction with your child’s clinicians is an opportunity to advance your knowledge on how to best care for you child. I think we all worry about our CHD kids growing up and taking over their own care. Start young and show them what staying in care looks like, which means us dads need to go to our own doctors too! 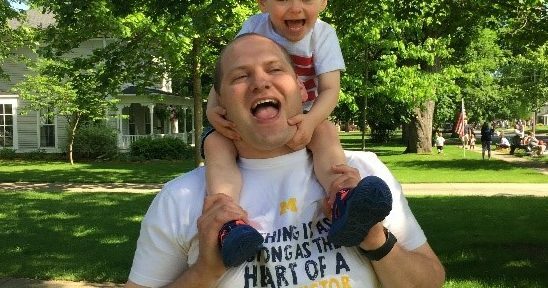 I am an analytical computer nerd with a passion for physics so I built the medication dosing spreadsheets and dove into the world of cardiology, until I learned everything that I could about my kids’ specific anatomy. Everyone is talented or passionate about something. The real trick is figuring out how to channel that energy into something that helps your family or the broader CHD community. This is probably one of the most important things heart dads can do. The CHD journey is no joke, and having a solid relationship with your spouse, co-parent or significant other is crucial. Divorce rates among parents with medically-needy children are super high for many reasons, not the least is the incredible amount of stress. Whoever said that building a house together was a true test of a marriage, never had kids with CHD. Talk to your partner, listen to your partner, go to counseling separately or together if needed. You are a team. I have met a few other heart dads along this journey, from fatherhood veterans to fatherhood freshmen. 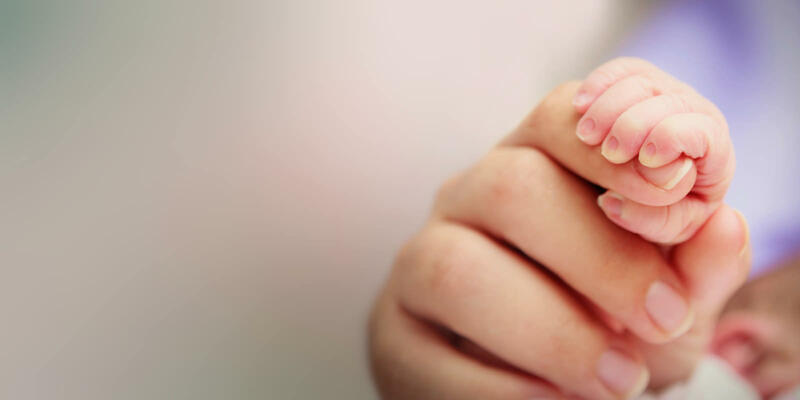 There is a common bond between us because of CHD and no other dad has ever understood the gravity of seeing my son’s pink fingers and toes for the first time after Fontan surgery. Sometimes we don’t even talk about CHD or our kids but being together with those who truly get it is validating. Let’s face it, the CHD journey is a marathon that never really ends. If you don’t stop and decompress once in a while you are going to burn out. Find a hobby. Exercise. See your doctor every year for a physical and actually tell them how you are doing (I am still working at this). Please, take it from my years of doing so, don’t compartmentalize everything until you explode. There are a lot of options once you are ready to take this step. Does your state have a PCHA chapter? Do other CHD organizations have a presence in your community? Do you have a skill you can lend to the broader CHD community? Will you send emails or make phone calls to your legislators, asking them to support key CHD measures? Can you visit Washington DC in February for lobby day? Do you want to just go bowling with other heart dads? Do it! Heart dad is a designation that I doubt any of us asked for, but it is a badge we proudly wear. It says that we are fighting the CHD battle right alongside our kids, doing whatever it takes to keep them happy and healthy. Be proud of the work you are doing in your family. Tell people you are a heart dad, advanced dadding required. Aaron Carpenter is the proud Heart Dad of two, a Software Engineer at University of Washington (Go Dawgs! ), an alum of North Carolina State University (Go Wolfpack! ), and master of the post-op medication spreadsheet. He routinely empties his vacation time bank at children’s hospital visits and enjoys running, hiking, and grilling up a good burger. Aaron welcomes messages from Heart Dads and science enthusiasts everywhere at amcarp8@gmail.com. Often times, Heart Dads do the behind the scenes work, the work that the world can’t see. Yet, in truth, their job as dad, their love, their encouragement and concern doesn’t go unnoticed by the ones that matter. 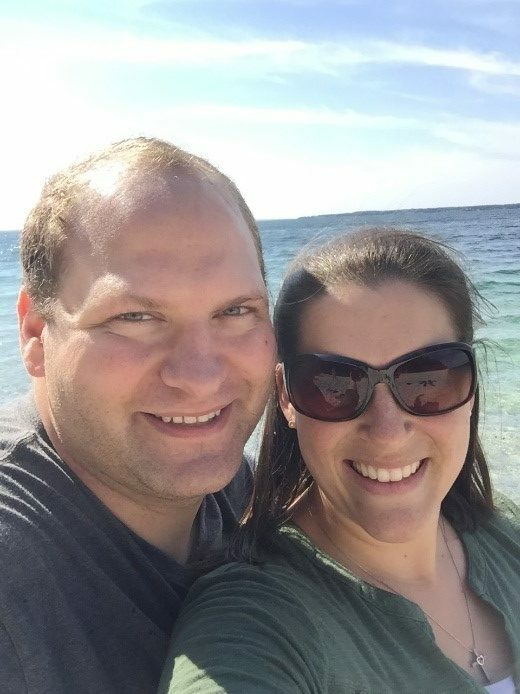 This week, Diana Schneider shares with us just how special a role her husband plays in their family and the life of their warrior, Danny. I see you, Heart Dad. You may not always wear your CHD heart on your sleeve, but I can see that too. I see the furrow in your brow as you’re researching our son’s diagnosis and treatment options. You wonder if you are doing enough to help him, if there’s more you could do for him. You try to imagine what the future holds for him and how you can make it better. I see you clench your jaw when the news anchor reports the latest flu statistics in our area and you glance anxiously at our boys, praying that somehow it spares everyone in our house. I see the tension in your shoulders when I need to take him to the emergency room. Again. You linger as you buckle him into his car seat, not wanting to let him go and yet wanting him to get there as quickly as possible at the same time. I know when I see you again there will be dark circles under your eyes because you can’t sleep well until he’s home safe with you again. Even with your anxieties and fears and without much sleep, you will be up the next morning to feed and dress our other two sons and take them to school and daycare. You will be mom and dad to them until Danny and I come back home, and I love that I never have to worry about them because it’s a job you do so well. I see you swallow your concerns and let Danny be like every other little boy his age, running, climbing, and jumping off everything in sight. You roughhouse with him and his brothers, you chase him and tickle him until he squeals, planting big dinosaur kisses ever so skillfully on his belly without disturbing his G-tube. You never tell him he can’t try something because of his heart. And you don’t use it as an excuse to spoil him either. I see you discipline him and hold him to the same standards of behavior we set for his brothers when it would be much easier to let pity and guilt over everything he’s gone through get the best of you. But you know you wouldn’t be doing him any favors in the long run. I feel like the people who know the story of our son’s journey don’t always see or appreciate how much of his success is from you. When our friends and family ask how Danny is doing you tell them I take him to weekly appointments with the feeding specialist and how he ate his first slice of pizza. But you don’t tell them you made the pizza from scratch (thin crust, so it’s easier to chew) and let him help you make it so he could experience food as a fun, not just therapy. You tell them I take him to see a speech therapist every week to get his language development on track so he can start school next year. But you don’t tell them how many books you read to him or how many flashcards you practice together each day when you get home from work. You tell them he no longer has a gross motor delay and doesn’t see a physical therapist any more, but you don’t tell them you built him his own platform swing to work on his balance at home. You tell them about current CHD research and what it could mean for Danny, but you don’t tell anyone that you went to our nation’s capital to educate legislators and push for more research funding. I see the way becoming a Heart Dad has molded you into an even more remarkable father than you already were. It’s made you someone I could never have imagined when we were dating in high school, and your biggest concern in life was how to start a food fight without getting suspended. As it turns out, you weren’t very good at that. But you are the most incredible Heart Dad. It has shaken you to the core, and you have put the pieces back together even better than they were before. It has made you more vulnerable, but stronger. It has made you more serious, but you’ve retained your sense of humor. You live your life differently now, taking little for granted and stopping to enjoy the small things. You plan for the future, but cherish each day knowing that tomorrow isn’t guaranteed. I’ve watched the man who can fix anything around the house struggle to accept he can’t fix his son’s heart, but instead of buckling under the stress and fear you’ve allowed it to shape you into a better husband and father than you already were. You’ve managed to find a way to thrive under the burden of being a Heart Dad and because of that, because of you, Danny is thriving too. Thank you for appreciating how hard I work to take care of our children. But the next time someone asks how Danny is doing, I hope you will remember to take your credit where it is due. To you and all the wonderful Heart Dads out there, have a Happy Father’s Day knowing how much we love and appreciate you the other 364 days of the year as well. 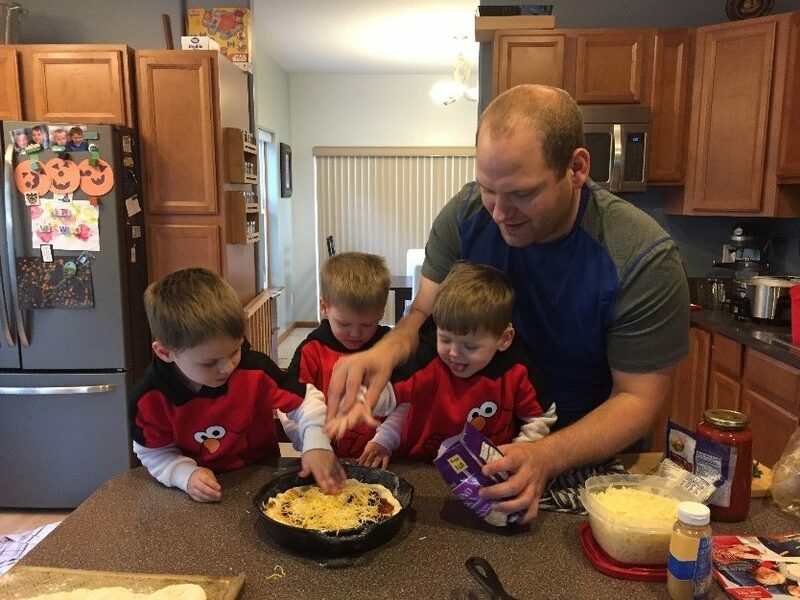 Diana Schneider is the lucky wife of an amazing Heart Dad and mom of three wild little boys. They live near Ann Arbor, Michigan and thankfully, Mott Children’s Hospital. Being a first time father, while exciting, can be stressful on its own. Add to it the prospect of your child being born with multiple heart defects, and the excitement over your first child turns to fear. 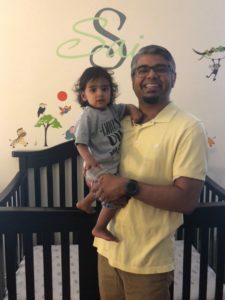 This week, Amit Shah shares his story, learning his son’s diagnosis and how it has changed the meaning of Father’s Day. To help people understand what Father’s Day means to me as a heart dad I have to give a little history of our journey. We were so happy when we found out we were pregnant. We were excited about this amazing new step in our lives. We were thinking about how happy our family and friends would be, what silly Halloween costumes we would wear to announce baby Sai, the fun we would have looking for nursery items & planning a baby shower. Alas that fairytale was not meant to be our journey. At my wife’s 12-week ultrasound/OB appointment we had been told that there could be a potential for something to be wrong with our baby’s heart, but there was no need to worry, we just needed to get a precautionary echo. 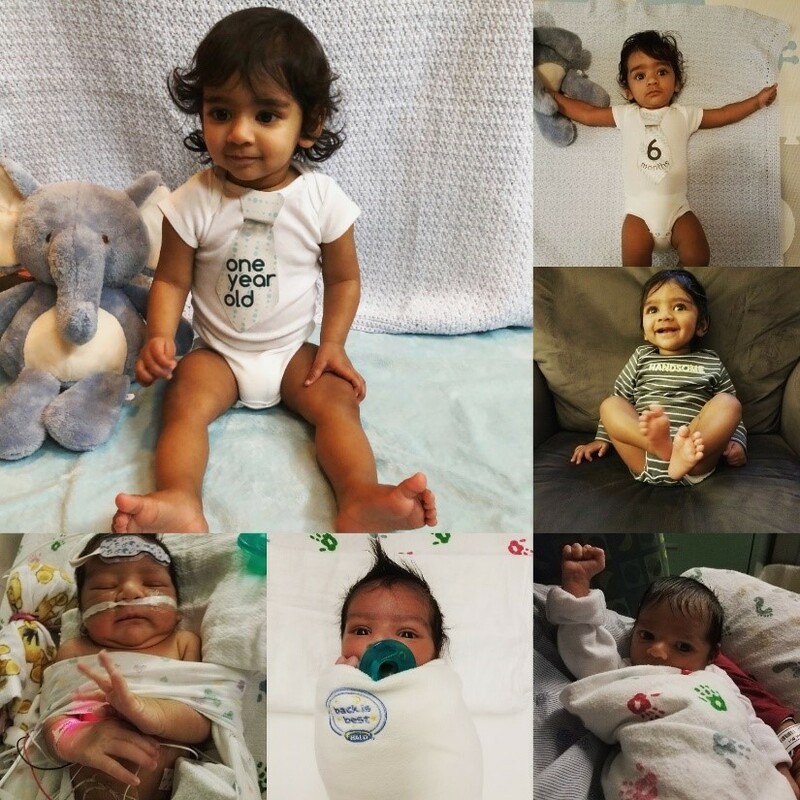 A few weeks later at our 1st fetal echo we were told Sai definitely had an issue with the right side of his heart specifically the tricuspid valve. The pit of my stomach dropped out from under me. I started thinking this was not the way it was supposed to be, we are supposed to be celebrating. This cannot be right, the doctor made a mistake, everything will be OK. At that time little did I realize how our fetal cardiology appointments would get progressively worse, turns out things were not going to be OK.
my mind), we had a more detailed confirmation fetal echo appointment with the hospital’s super tech to make sure nothing had been misdiagnosed. Unfortunately, no mistakes were made in Sai’s diagnosis. Due to all the complications discovered prenatally Sai had a poor prognosis (I hate that term), there was a very real likelihood that he may not make it. If he did get to term we would have a very complicated situation since both sides of his heart had issues, we needed to prepare for him to pass or for a very a long road filled with surgeries and no guarantees. We left the hospital that day and cried the hour back home. We decided to get a second opinion 2 weeks later from another leading hospital with an excellent pediatric heart program, and they confirmed the diagnosis but with a grimmer prognosis. Devastation is what I felt, when I was looking for hope. in our power to save Sai, but we knew the odds were stacked heavily against us. From December 15th, 2016 until he was born, after breakfast, lunch, and dinner I would text or call to see if Sai had moved. This was a difficult but necessary routine. Every time my wife said yes, we were closer to him getting to term, and I could rest easy for 4-6 hours. as it progressed. How do you tell someone that your son potentially may not make it? When people would ask how the pregnancy was going I usually said everything was great with a smile. Privately with family and a few close friends I would breakdown at the thought of losing him. In my mind I was not a strong father or husband, I was supposed to fix things and I could fix nothing. Turns out you can only keep saying everything is “OK” or “great” for so long. As we reached the 3rd trimester many friends and family started asking about the baby shower so that they could make plans. The 1st five times people asked I said we were working on it, and after the next 5 times people asked we concluded that we need to send a communication explaining the situation. This was one of the hardest e-mails I have written in my life. There was not going to be a baby shower, and we need all the thoughts, prayers and good energy people could send our way. I have read this e-mail many times, and still read it from time to time. The goal has always been that I not to tear up, so far I have failed miserably. As it turned out I needed to write that e-mail, I needed to let people know what was going on and share. The e-mail updates helped me cope and express myself. We would send an e-mail update out about every 2 weeks and keep people informed on big milestones. signs that Sai was fighting to stay alive. During this time we became aware of a new potential defect, Coarctation of the Aorta (CoA). The potential CoA and the left side of his heart (including the mitral valve) turned into the most immediate concerns for the doctors. the doctor’s off) and his mitral valve was functional enough that we could wait and see. While he had pulmonary hypertension and moderate/severe mitral valve regurgitation, we would be able to treat both with medicine. He was (and still is) a high risk candidate for surgery, and they would not do surgery unless it was absolutely necessary. After 11 days in the NICU we could go home with a lot of follow up doctor’s visits. It was amazing to bring him home and show him his new room. So this brings us to Father’s Day. We never really celebrated Father’s day growing up (for a number of different reasons). I was not very close to my dad or grandfathers, and I vowed to myself that I was going to change that if I had children. I wanted to show Sai he is surrounded by love. This became even more of my mission as we have progressed through this journey. Father’s Day last year was an amazingly special day where my wife and I got to celebrate with our miracle. It was a day filled with a lot of reflection for me, a day filled with tremendous joy and sadness. Sai was about 10 weeks old at that point, and all I could think about was that I was happy he was alive, not in the hospital, did not need surgery immediately, and was actually eating. I remember thinking how sad I would be if he wasn’t here. There was something amazing about holding him in my arms as he slept and as I thought through the past year. This year’s Father’s Day it is going to be different. I am not going to spend time thinking about how Sai might not have been here but spend time celebrating him and what he has overcome. Being a heart dad has taught me a lot. This year I am not going to reflect on any sadness. I am going to concentrate on how we can make a positive difference. I am going to reflect on how Sai has changed our lives for the better and made us better people. I believe that everything happens for a reason and that Sai is right where he is supposed to be (with us). Sai has shown us how to be strong, persevere, and never give up. This year, even though he will fight with all of his might (he is quite independent), I want to hold him, hug him, and have him sleep on my shoulder. I want to show him how much we love him and that we will do anything and everything to make sure he is OK.
My wife and I are forever changed as people. We are humbled at the strength of heart kids and parents. Through all this we have learned to not take life for granted, appreciate everything around us, and that miracles do happen. We also realized that we are not alone and that there is so much help and support available. I am not sure we would have gotten through this without the help from our family, friends, and support groups. I never understood what people meant when they said that heart warriors are different, don’t underestimate them or give up on them, but now I do. When we met with the surgeon prenatally he stated one thing that has really resonated with me in recent months. He stated, “If he[Sai] is going to keep fighting, we need to fight for him”. My wife and I have tried to expand on this and broaden it, so that we fight for all heart warriors. Through this process we have met so many amazing kids and parents that have gone through or are going through so much more than we did. 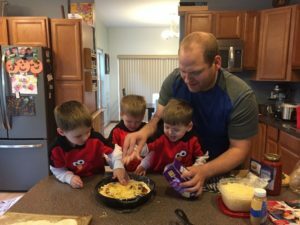 My hope is that sharing our story helps another heart dad (or mom) to know that they are not alone, that there is support and help. You may feel lost and alone, but there is a huge heart family out here that understands what you are going through. Today Sai is doing incredibly well, even the doctors are amazed. As we continue to educate ourselves and ask our doctors more specific questions, we have learned that Sai’s heart anatomy is pretty unique but functioning much better than expected. It is scary to me that medical science does not have answers on why his heart defects occurred, why he is doing so well, or how he will do in the future. I fear what the future may bring; I have so many thoughts that go through my head. I don’t know if I am ready to hear the words “it is time,” but I know that we will do everything in our power to fight for Sai and that we are surrounded by people who are also fighting with us. Happy Father’s Day to all the heart dads out there, remember we too have a voice. Amit Shah is a husband and a father of a headstrong son, Sai, who has multiple heart defects. He is pretty convinced that Sai is trying to take over the world. 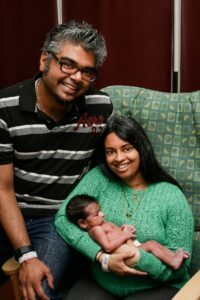 Amit is trying to navigate life as a new parent and a child with CHDs. He hopes through spreading awareness and knowledge of CHD that doctors and researchers can eventually find a cure. In May, PCHA honored Heart Moms for Mother’s Day. 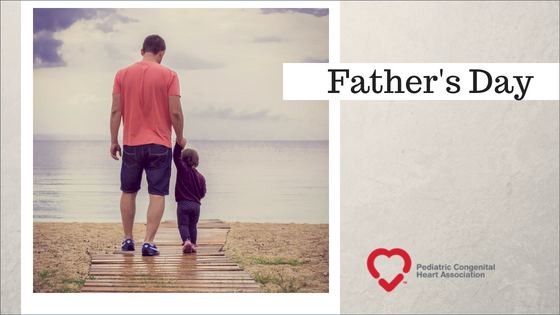 This month, we’re taking time to shine a light on the great Heart Dads out there, who conquer CHD along side us and are often unsung in the fight. 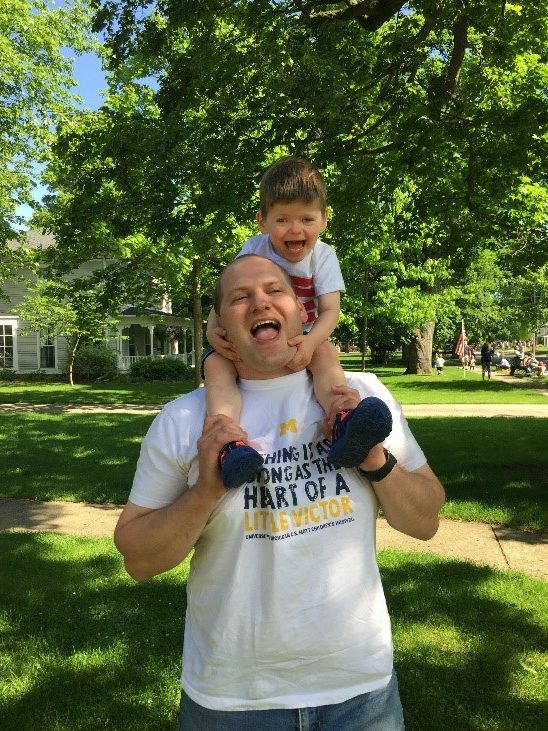 This week, Joe Valente, an adult CHD patient, thanks his dad for the sacrifices he made a long the way and talks about why sometimes men seem to be in the background when it comes to the CHD Family journey. My father used to have a fond place for box kites and I remember many a summer being dragged across the windy beaches of Northern California by his kites. As I sit hear with my next chapter in my CHD journey unfolding I am reminded of all that has been sacrificed to get me here and as Father’s Day is approaching it is hard to not think of all the CHD dads that make this world go around including my own. The world of Congenital Heart Disease is in a rapid state of flux. Since the day I was born over 36 years ago survival rates for critical congenital heart defects have improved beyond belief, but maybe more importantly the community of patients and parents that are able to connect through the internet and organizations like the PCHA have drastically changed the knowledge and support for everyone affected by CHD. 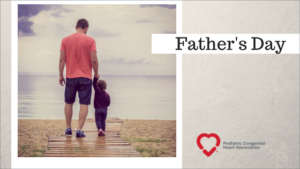 Being a male in the CHD world is difficult, there are not many emotional resources for the men that need support, the fathers who are helping their child fight, or those that are grieving a loss. Maybe it is our own doing and what society expects from us, but it is often a lonely road to walk. 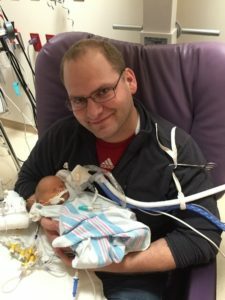 I enjoy seeing the fathers that are public about their battles and the men that share their journey with CHD with the world. So, while so much has changed the men are often stuck in yesteryear as they are expected to be strong through all else and have little escape or resources to coupe with daily struggles that accompany CHD. As I was going through some childhood belongings the other day I found an old guide to CHD from the American Heart Association, copyrighted 1978. It is quite an enlightenment to read, as it was the only real resource that my parents had outside of the hospital. In this information era it feels like reading a tri-fold brochure when you want an encyclopedia. It is a good reminder for all of us fighting for more to not forget to be thankful of how far we have come. As most fathers mine was observing my birth but for him it was in the same hospital that he had already delivered so many babies as an OBGYN. So, when I was delivered and was extremely cyanotic I wonder at what point he really knew. I know my mother tells the story of the pediatrician telling her I was being transported to UCSF and to call the priest. But I know my father knew before that—maybe from the moment he saw me—or was he blinded by a fathers love like so many parents who don’t see what may appear as obvious looking back? I was blessed that my father was one of my biggest advocates when I was young, being a doctor he was knowledgeable enough to know when things were not right. I can say without hesitation that he saved my life. I know his grief was significant as anyone that was there would tell you he could barely walk into the hospital to find me after my transport. And when I was not on the floor they thought they assumed the worst. Like so many father’s I am not sure who was there for him, of course my mother and family, but who was his strength? Maybe all he needed for his strength was me to be there and to keep fighting. My father didn’t stop there when the surgeon came and gave the consult on a Friday afternoon and told my parents he would operate on Monday my father told him I didn’t have until Monday. The surgeon was adamant that I would be fine and that when he got back from his weekend vacation he would do the surgery. That wasn’t good enough, so my dad kept pushing finally he agreed to operate same day. After the surgery, the surgeon came out of the operating asking my father how he knew, he questioned how many hours I had left, not days, as I had formed an aneurysm in my trans annular patch that was placed when I was just 2 days old, and it was about to rupture. As I have grown into a man, I think of all the nights my father was out delivering babies and how at 76 he still works 4-5 days a week. Not much has changed in my 36 years, except now I am the one in charge of my care. The lessons my parents taught me are what has led to me to search for a life of meaning. Not only for me but for everyone I love. I have had many moments in my life when I was required to trust my gut, and I have never seconded guessed it, because I learned at a young age the significance of doing so. I will always appreciate the medical professionals who take a pause and listen when I say something isn’t right. 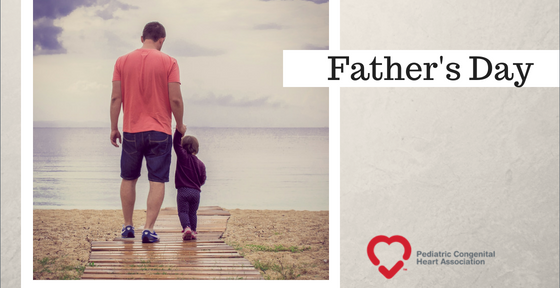 I know that fathers may often seem hidden in the world of chronic illness and CHD, but it is not representative of their role. Many are at home and work, keeping the rest of the world moving while we fight our battles in hospitals and doctor offices. Many are out there advocating for us. They may not be the faces on our Facebook pages, but we know what they do and have done for us, and we are forever grateful. Maybe one day it will be the posh thing for dads to wear their emotions on their sleeve for the world to see, but until that day we must not forget of everything they contribute to us and our families. Regardless of their fame or the lack thereof we know their love is unwavering. The twine on your kite is as long as you want it to be. Always set it loose and reach for the blue skies. Let it fly high in the wind. If a breeze catches you let it pull you to where you were meant to be. Never give up on life. Fly free and you will be amazed at what you can be. I think of my father and being pulled across the beach as I look up for all that can be. A happy Father’s Day to my dad and all the CHD dads out there that mean so much to us and our families. 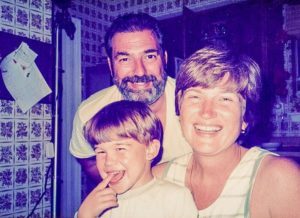 Joe was born with Tetralogy of Fallot. He required his first open heart surgery at 54 hours old and suffered a stroke after surgery. 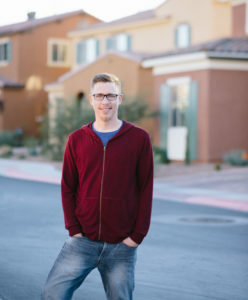 He has now had four open heart surgeries, the last two days before his 30th birthday. He has struggled with PTSD for most of his life and believes a strong mind and building a team with a roster full of supporters is the key to successfully living with a chronic illness. 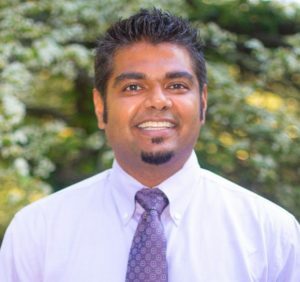 He is a Board Certified Patient Advocate for families, children, and adults with congenital heart disease—helping them to navigate the emotions, diagnoses, and challenges they face in finding and understanding appropriate CHD care.